You can’t drink all day if you don’t start in the morning! Our Lounge Bar is open every day from 9am. 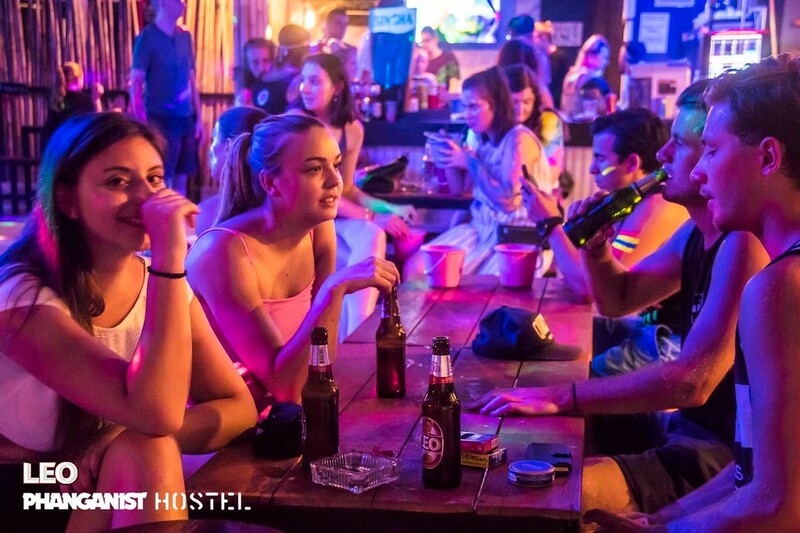 A flashpacker hostel needs a flashpacker Lounge Bar – And at Phanganist Hostel we have just that. We call it icing on flashpacker cake! Our Lounge Bar is a big open lounge area with tables, chill out areas and our big sundeck around our swimming pool. Chillaxing by the pool with a drink of choice is our idea of a good time and you can enjoy that too. 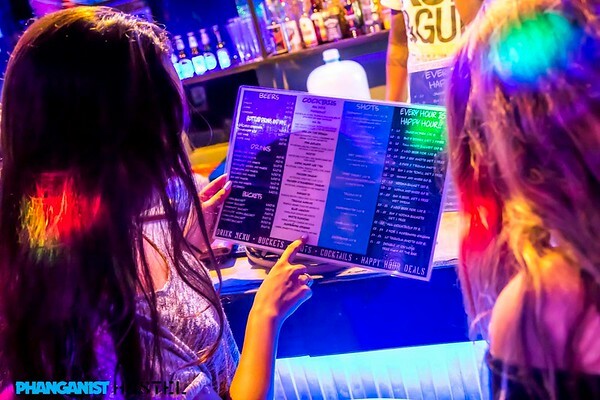 We have everything from tasty cocktails to ice cold beers, our famous full moon buckets and a wide selection of spirits and mixers. Everything at very affordable prices off course! 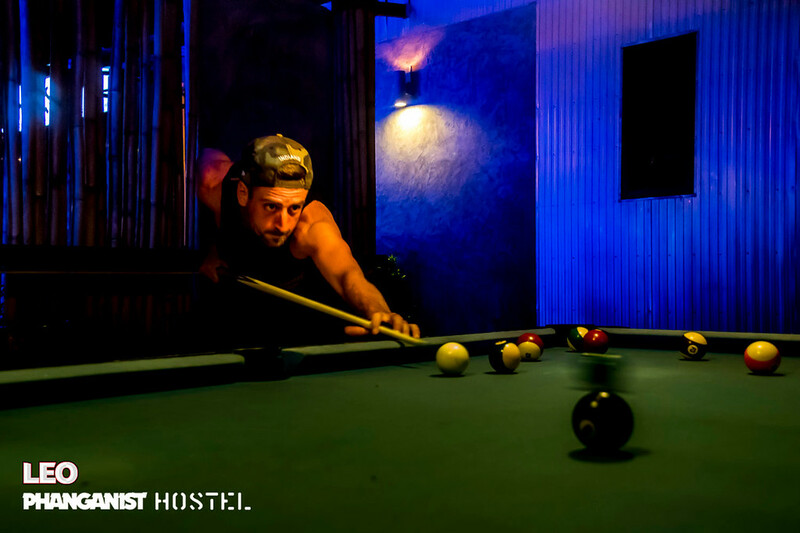 We love adding entertainment value and our Lounge Bar is equipped with a pool table and beer pong tables so be prepared to get challenged. We have board games, card games and drinking games and even a selection of music instruments. 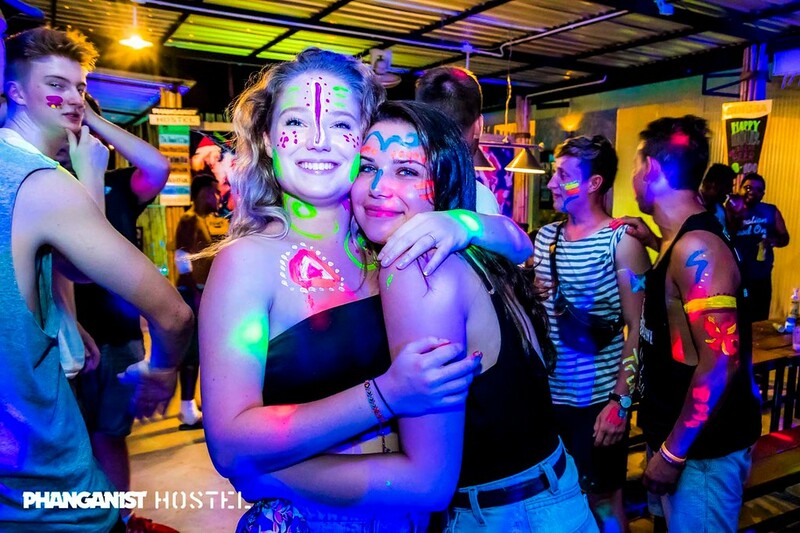 We are open every day so even if you don’t stay with us, come around for a good time! 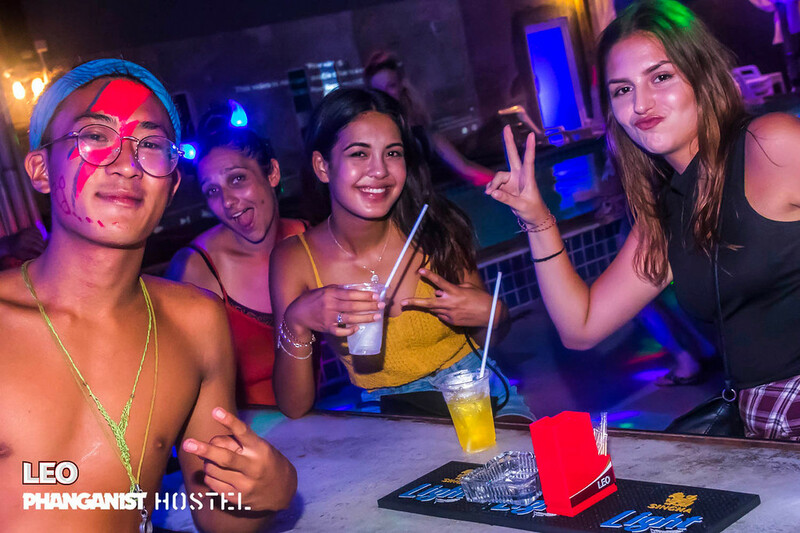 And last but certainly not least, happy hour is the happiest hour and that’s why every hour is happy hour at Phanganist Hostel! 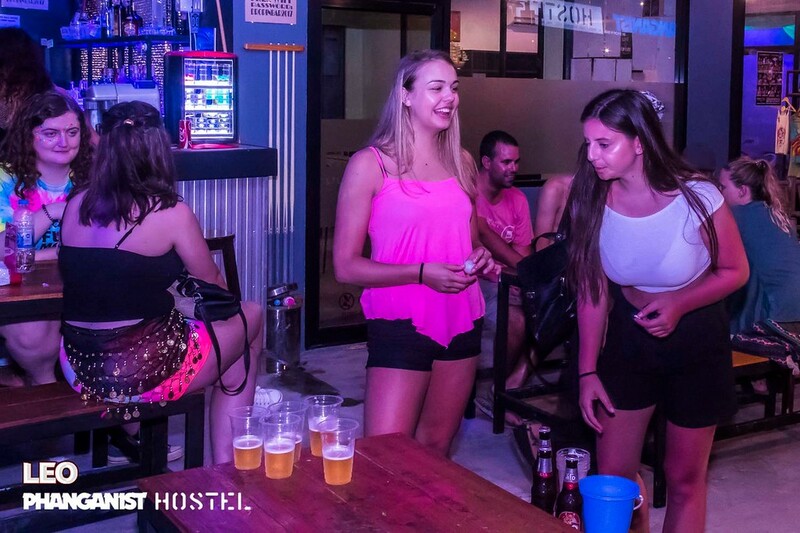 We have great drink deals every hour so there is no excuse not to have a great time.